***ORIGINAL MSRP OVER $531,000! *** 1 OF 600 UNITS MADE! *** LIMITED EDITION! ***ONLY 1,069 MILES FROM NEW! *** ACTIVE FACTORY WARRANTY! *** CARBON FIBER EVERYWHERE! LIFTING SYSTEM! SATELLITE RADIO! NAVIGATION! REAR VIEW CAMERA WITH PARKING SENSORS! TRANSPARENT ENGINE BONNET! CENTER-LOCK WHEELS! COMFORT SEATS WITH FULL ELECTRIC ADJUSTABILITY! HEATED SEATS! EXTERIOR DETAILS IN CARBON FIBER! ALCANTARA INTERIOR! ORANGE BRAKE CALIPERS! Big SV Logo (sticker), CARFAX 1-OWNER CERTIFIED! 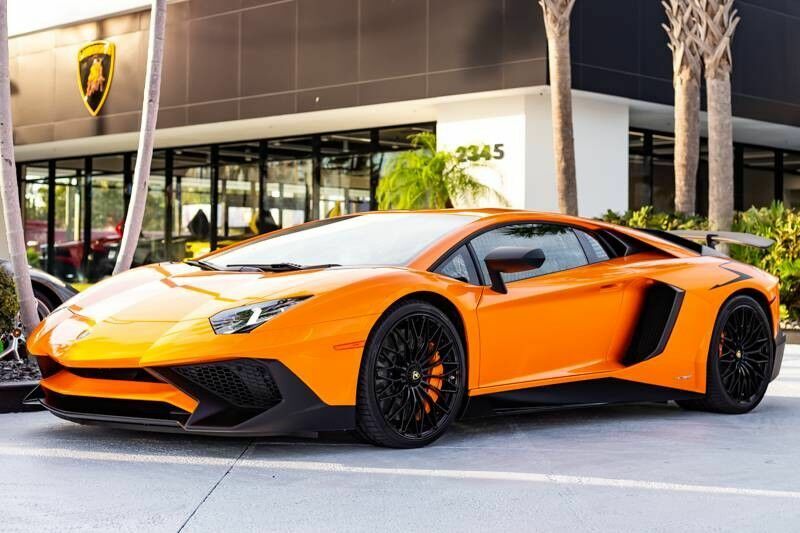 STOP BY LAMBORGHINI PALM BEACH TODAY TO VIEW THIS SPECTACULAR AVENTADOR SV! Lamborghini Palm Beach has a wide selection of exceptional pre-owned vehicles to choose from, including this 2017 Lamborghini Aventador. This Lamborghini includes: WHEELS: 20" FRONT GAS GUZZLER TAX TRANSPARENT ENGINE BONNET WHEELS: 20" FRONT EXTERIOR DETAILS IN CARBON FIBER (SMALL) ORANGE BRAKE CALIPERS *Note - For third party subscriptions or services, please contact the dealer for more information. * Drive home in your new pre-owned vehicle with the knowledge you're fully backed by the CARFAX Buyback Guarantee. Hit the gas pedal and put the engine power to all four wheels. With AWD, you'll have the greater performance right off the line, everytime you drive. Marked by excellent quality and features with unmistakable refined leather interior that added value and class to the Lamborghini Aventador Enjoy the drive without worrying about directions thanks to the built-in navigation system. Come join our family at Lamborghini Palm Beach, where your buying experience is most important to us.